We are looking for an Interaction Web Designer who has a passion for concepting and creating inspiring web design work for innovative businesses. Creativity and strong web design sensibility is essential. Our web designers understand the importance of every little detail and how these details impact the final design. The ideal candidate will be self-motivated, enjoy pushing the envelope and is able to bring new interaction web design styles and solutions to each interactive project. Must be able to design terrific experiences from scratch including interactivity, eCommerce and responsive design. Highly proficient in all aspects of the creative process: including sketches, mood boards, wireframes and strategized web pages that drive results. Good understanding of web structure and user experience, and how design impacts user behavior. Design unique solutions for a wide range of visionary businesses and industry leaders. Considering all design elements from color palette to typography to everything in between. Create purposeful design solutions that are bold, engaging, and tailored to the brand. Actively participate with various team members in constructive exchanges to deliver outstanding work. An interaction web designer online portfolio of relevant website design work is required. Please submit your online portfolio and resume along with your compensation request. 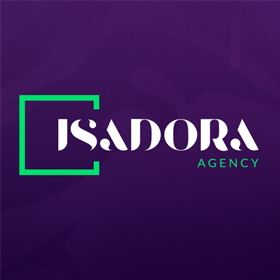 Isadora Agency is a web design company and leader in transformative visual identity, brand strategy, high-end development, eCommerce and digital marketing.